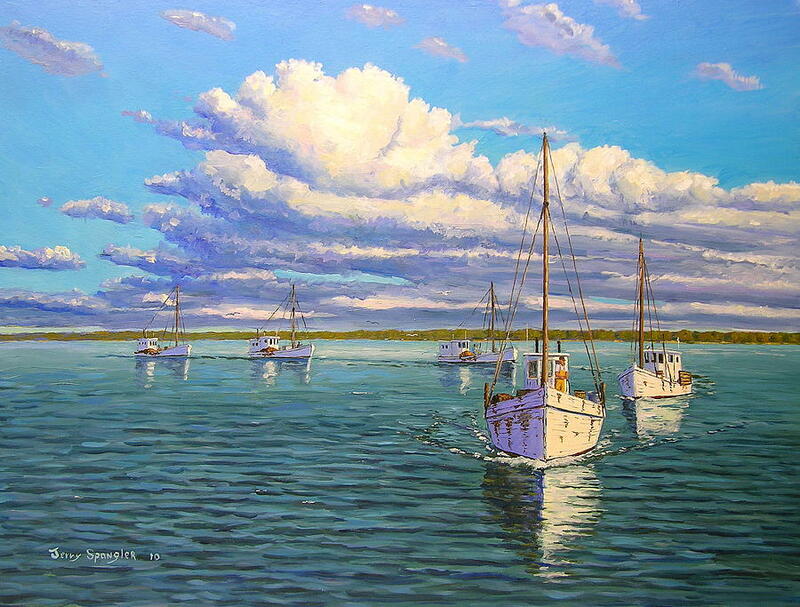 Fleet Returning Home is a painting by Jerry Spangler which was uploaded on October 7th, 2010. Love the color and the reflection. Beautiful! Well done, Jerry! Great piece of art!